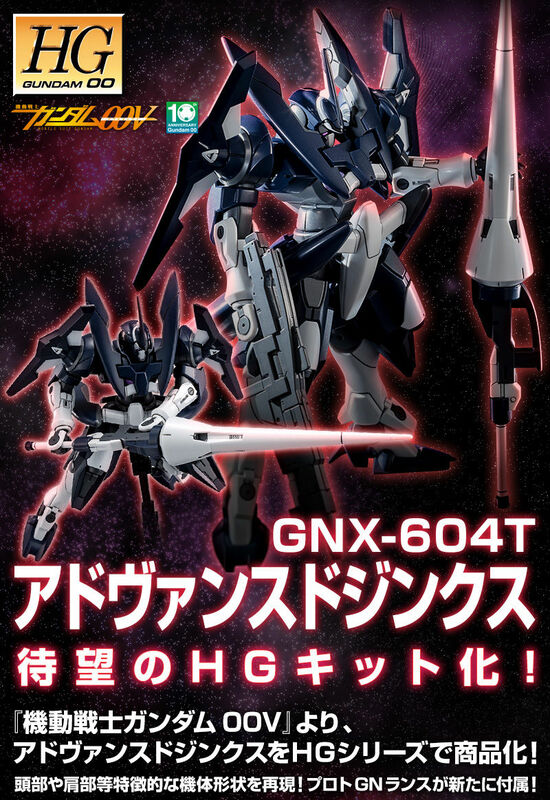 From "Mobile Suit Gundam 00V", Advance de Jinx is commercialized with the HG series! Reproduce distinctive body shape such as head and shoulder. Proto GN Reance is newly attached. ● Reproduction of characteristic parts such as the head and shoulder by new modeling! 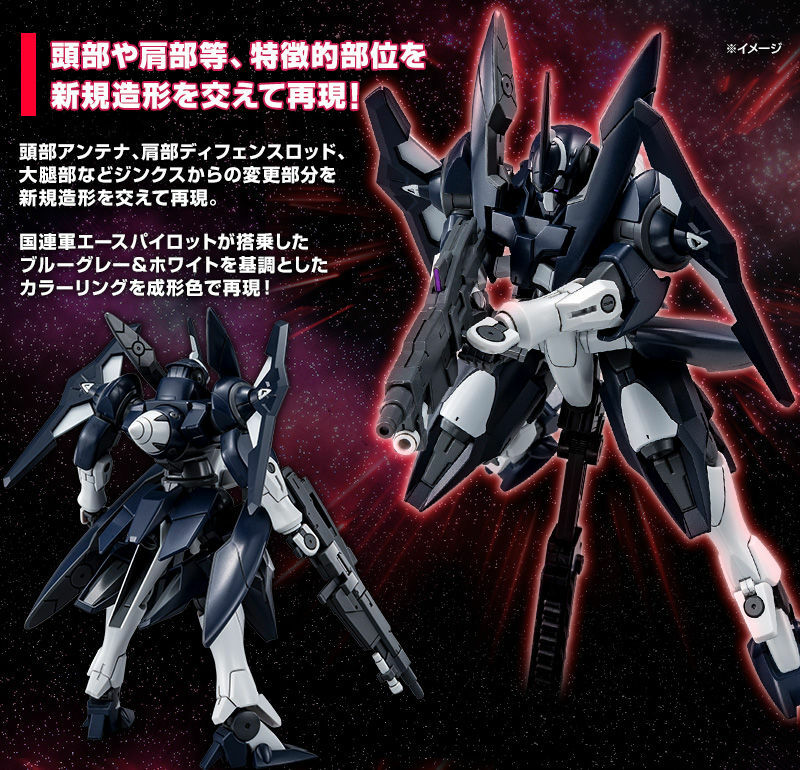 Head part antenna, shoulder defense rod, femoral part etc. Modified parts from jinx are reproduced with new modeling. Reproduced coloring based on blue gray & white, which the UN military ace pilot boarded in molded color. - Proto GN Reance is newly attached! Proximity large armed · Pro GN Reims reproduced by new modeling. In addition, the advanced GN beam rifle, the state of the new middle range can be reproduced by new parts. 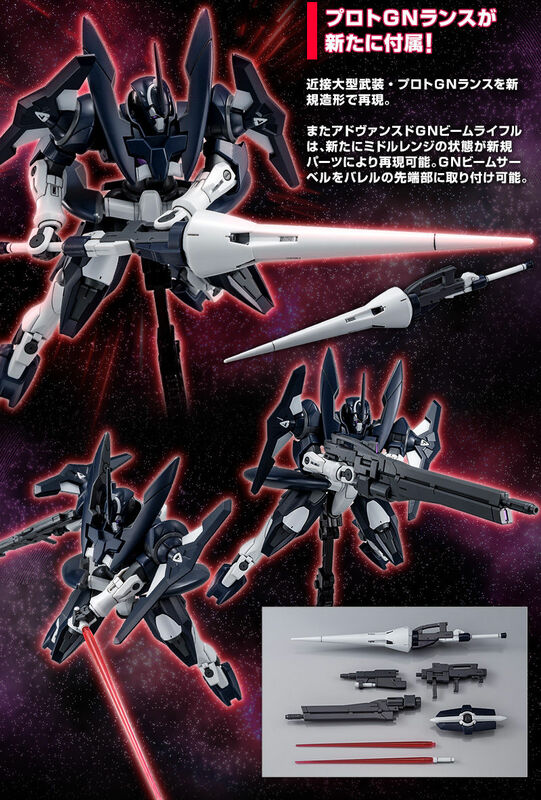 GN beam saber can be attached to the tip of the barrel.